Engen is an Africa-based energy company with a focus on the downstream refined petroleum products market and related businesses. The company's core functions are the refining of crude oil, marketing of its primary refined petroleum products and the provision of convenience services via the extensive retail network. Engen is proud of the sound reputation it enjoys as a leading player in the South African and African energy industry. The brand stands as a beacon of excellence, both for the many different clients and the diverse workforce. It's no coincidence that Engen, as an ethical, energy company, is recognised as a driver of Africa's economy, its clients' businesses, and its employees' career aspirations. The Engen Refinery, located in Wentworth, South Durban, is the second-largest oil refinery in South Africa. Commissioned in 1954, the Engen Refinery is now a state-of-the-art facility, boasting a sophisticated Process Control Centre, where highly skilled technicians have the plant's operations at their fingertips 24 hours a day, 365 days a year. Its primary purpose is to manufacture in the most cost effective, safe and responsible manner, the agreed volume, quality and range of products required to meet the needs of Engen's customers. With a nameplate refining capacity of 135 000 barrels of crude oil per day, the Engen Refinery plays an integral role in ensuring that the energy needs of South Africa are met. It produces fuels and lubricants for the automotive, industrial, aviation and marine industries, bitumen and a wide range of chemicals and solvents. 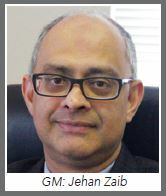 This serves to reduce South Africa's dependence on imported refined products, with associated benefit to the country's balance of payments and the provincial economy of KwaZulu-Natal. Over the years new units and processes have been added to boost yields, processing efficiency and product quality, while at the same time meeting increasingly stringent environmental standards. A commitment to constant innovation has ensured that production matches the needs of an evolving market and increasing demands for more advanced products. The Engen Refinery, and all Engen facilities, adhere to strictly enforced health, safety, environment and quality practices and principles. As part of a broader companywide sustainability strategy, the Refinery continuously strives to improve its management of safety risks. The Engen Refinery's proud safety record has been achieved by adopting world class global safety standards. Furthermore, considerable focus is placed on training and skills development of both employees and contractors to constantly improve their competencies in this regard. 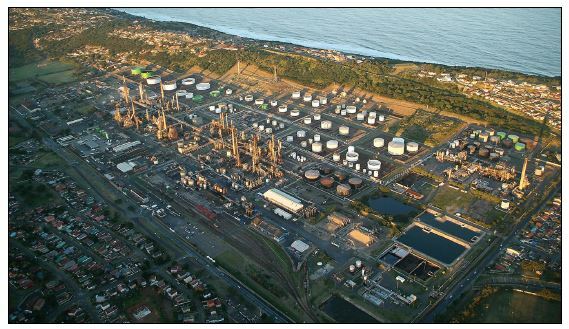 The Engen Refinery is an integral part of its surroundings and the South Durban community. As such, Engen has always tried to act as a good neighbour and responsible citizen. support to government efforts to promote Maths and Science education. The Wentworth Education Trust (WET) celebrated 20 years of giving back to the Wentworth community 2017. WET was first created in June 1997 by Engen for the purpose of receiving donor funds for educational and training purposes aimed at benefiting schools in the Wentworth area. The Engen Refinery contributes funds to community organisations in South Durban. This assistance is used to support safety and awareness projects, including: trauma units, drug education initiatives and youth anticrime drives. The South Durban business sector and the eThekwini Municipality have formed a partnership to promote road and rail safety among school children in the area. The Engen Refinery values collaboration with the community of South Durban and recognises that the sustainability of both entities is intrinsically linked. In accordance with this, the company convenes and hosts the Engen Community Stakeholder Forum (ECSF) in order to have constructive engagements with community stakeholders. Nature of Business: Engen is an oil company focusing on the downstream refined petroleum products market and related businesses. Products: Engen produces and markets a wide range of products, including: fuels and lubricants for the automotive, industrial, marine, aviation industries. Added to this product palette is bitumen, chemicals and special products. The majority of the products marketed by Engen are produced at the Engen Refinery and a Lubricating Oils Blending Plant, both located in Durban. Industry Standards: The plant is both ISO 9001 (Quality Management System) and ISO 14001 (Environmental Management System) certified.